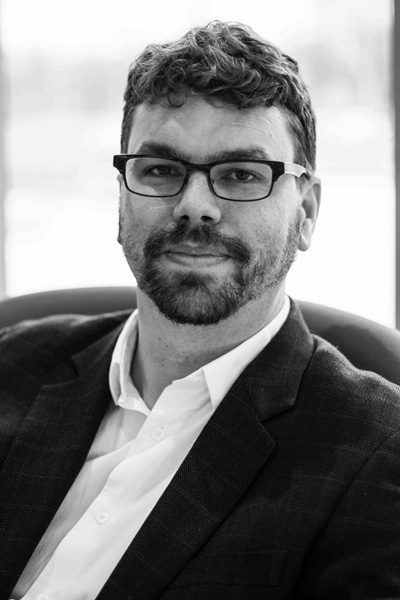 Nathan Martin joined the University of Michigan in 2015, having previously held postdoctoral fellowships and teaching positions at Columbia, Harvard, the Katholieke Universiteit Leuven, the Hochschule für Musik Freiburg, and Yale. He received his PhD from McGill University’s Schulich School of Music in 2009. Martin’s primary research interests are in the history of music theory and the analysis of musical form. To date, his published work on the history of music theory has concentrated on the theoretical writings of Jean-Philippe Rameau and their early French reception, particularly among such philosophes as Jean-Jacques Rousseau. In general, Martin approaches the history of music theory both as a branch of intellectual history (Geschichte der Musiktheorie) and through more practical engagements with historically informed analysis, style-bound improvisation, and model composition (historische Satzlehre). He is interested in bringing both etic and emic perspectives to bear on historical theories—in probing, on the one hand, the relationships that bind music-theoretical systems to their intellectual, institutional, and cultural contexts and, on the other, in thinking imaginatively both with and through the conceptual resources that they offer. Martin’s work on musical form embraces analytical studies of particular works, critical engagements with the “new Formenlehre,” and attempts to theorize form in vocal music. More recently, he has become interested in how empirical methods borrowed from the social sciences and linguistics might be adapted to investigate questions of musical form. Martin co-edits Music Theory & Analysis (since its inception in 2013) and is also the co-editor of Formal Functions in Perspective: Essays on Musical Form from Haydn to Adorno (forthcoming, University of Rochester Press). In 2014, his article “Rameau’s Changing Views on Supposition and Suspension” won the Society for Music Theory’s Outstanding Publication Award. “Rousseau, Rameau, and the ‘Leçons de musique. '” Theoria 23 (2016): 5-82. “Lire le Dictionnaire de musique de Jean-Jacques Rousseau: l’exemple de l’article ‘Dissonnance. '” Revue musicorum 17 (2016): 13-38. William E. Caplin and Nathan Martin. “The ‘Continuous Exposition’ and the Concept of Subordinate Theme.” Music Analysis 35 (2016): 4-43. “Die phrase harmonique bei Rameau.” In Rezeption und Kulturtransfer: Deutsche und französische Musiktheorie nach Rameau. Edited by Birger Petersen, 29-50. Spektrum Musiktheorie 4. Mainz: Are Verlag, 2016. “L’image de Rousseau musicien au cours des siècles.” Annales Jean-Jacques Rousseau 53 (2015): 203-23. Nathan Martin and Julie Pedneault-Deslauriers. “The Mozartean Half Cadence.” In What is a Cadence? Theoretical and Analytical Perspectives on Cadences in the Classical Repertoire. Edited by Pieter Bergé and Markus Neuwirth, 183-211. Leuven: Leuven University Press, 2015. “Morgengruß.” Music Theory & Analysis 1 (2014): 141-45. Nathan Martin and Steven Vande Moortele. “Formal Functions and Retrospective Reinterpretation in the First Movement of Schubert’s String Quintet, D. 956.” Music Analysis 33 (2014): 130-55. “Les planches de musique de l’Encyclopédie: un manuscrit méconnu de Rousseau et ses enjeux ethnographiques.” Recherches sur Diderot et sur l’Encyclopédie 48 (2013): 115-36. “Rameau’s Changing Views on Supposition and Suspension.” Journal of Music Theory 56 (2012): 121-67. “An Unknown Rousseau Autograph: The Neuchâtel Manuscript of NOTES, en Musique.” SVEC [Studies on Voltaire and the Eighteenth Century] 2008:06, 313-25.